Marketing your business on Social Media can be tricky. There’s always more to be learned, more to be said and more to be done. Most importantly there’s always more competition, each and every day. Sometimes it’s tempting to throw in the towel and give up altogether. But in today’s Podcast, my guest Nicole from Melbourne Hair Blogger will tell you why you shouldn’t quit. 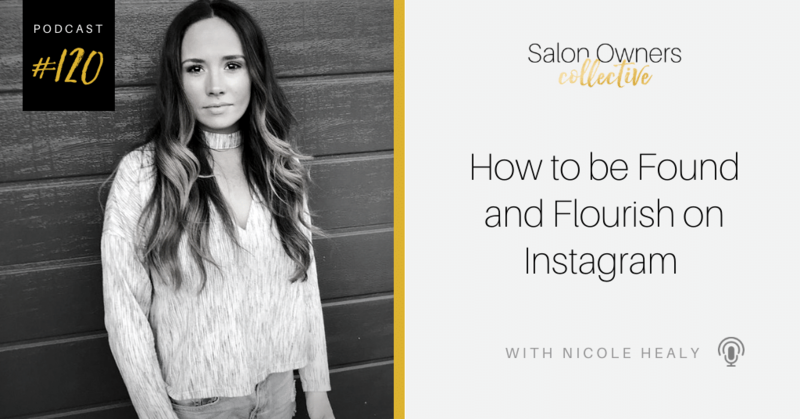 Nicole is a hair stylist turned Instagram extraordinaire, who runs a business helping Salons with how to utilise Social Media to their best ability. She understands what it’s like to work in the Salon Industry and applies those skills into teaching Salon Owners like yourself how to be found, grow, and communicate using Instagram. Today, Nicole covers 4 main steps you should be taking to ensure the best use of Instagram possible for your business. So be sure to tune in as we chat about all things Social Media- from handles to aesthetics.